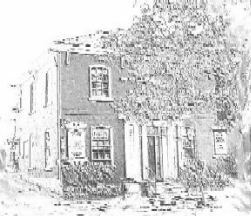 Our law office was established in Stratford in 1982 by William Aitchison. Sharon Bardwell joined the firm in 1994 and took over the practice when Mr. Aitchison retired in 2003. Sharon Bardwell offers a highly effective legal service based on expertise and experience across many disciplines. Without compromising on quality, Bardwell Law Office prides itself on offering its clients a cost effective service in a friendly "down to earth" setting. Please give our receptionist Brenda a call to discuss potential legal options available. Sharon provides a friendly, personal, one to one service which is reflected in the number of clients that regularly return. Sharon and Brenda work as a dedicated professional team to provide our clients with a professional yet personal and practical service. Whether you are buying or selling property, dealing with a family crisis, coping with the loss of a loved one, or are just planning for you and your family's future, Bardwell Law Office will provide you with the best service we can at all times.